Woo Hoo! I received my 2017 Holiday Catalog pre order. 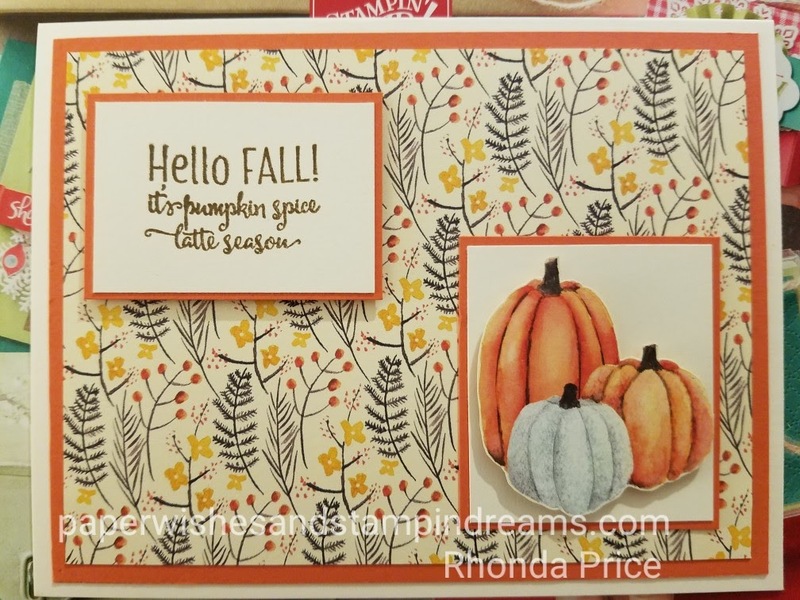 I thought we would start with some Fall cards. First up, PUMPKINS! 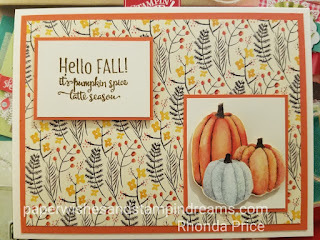 I fussy cut the pumpkins from the Painted Autumn Designer Series Paper. The background paper is also from this collection. The sentiment is from Merry Cafe. The Tangerine Tango on the Very Vanilla makes this card pop. Leave me a comment and let me know what you think. Follow me to see more cards as I post them. I will come back and update the product info when the new holiday catalog goes live on September 1st.